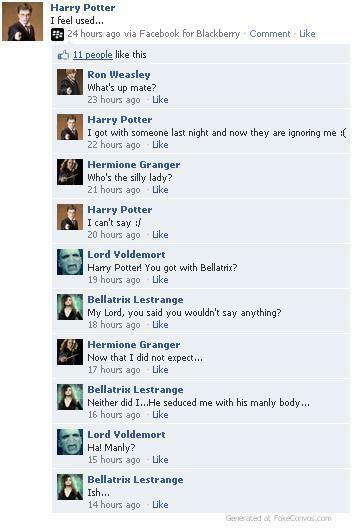 HP Characters on Facebook!. . Wallpaper and background images in the Death Eaters VS Order of the Phoenix club tagged: snape death eaters funny facebook conversation.